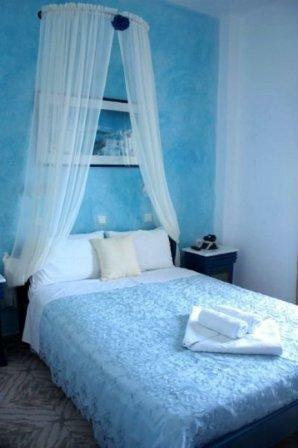 Villa Evgenia located in Fira center the capital of Santorini. For over 15 years we have been offering quality service to all our guests, with a focus on Greek hospitality, for this reason we have many repeat guests. 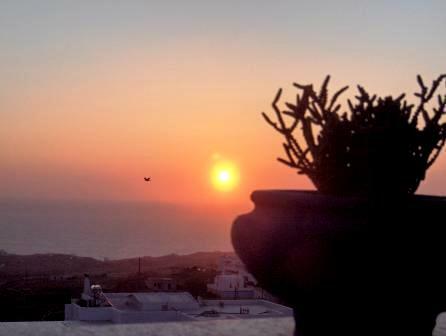 We are located in a peaceful area of Fira. As one might expect, the city center might be a little noisy, however as many guests have commented we are in the perfect location. Villa Evgenia Hotel is only a short walk to the hustle and bustle, but far enough that you can enjoy some tranquility during the day while lounging around the pool, and get your sleep at night. It is only a 5 minute walk to all the shops, tourist offices, restaurants, cafes, bars, and the local bus terminal where you could catch a bus to any place on the island. Villa Evgenia Hotel has been fully renovated to ensure high comfort and quality of services; every year there are improvements made to the building and services offered. As it is a family-run business, guests enjoy the personal service they receive, the staff is friendly, approachable and very eager to ensure that your stay will be a pleasant one, answering your questions, and giving you some great suggestions for the island from a local's point of view; ensuring guests truly experience Santorini. All of our rooms offer: A/C, TV, refrigerator, safebox, hairdryer, private bathroom, private balcony, and wireless internet free charge. 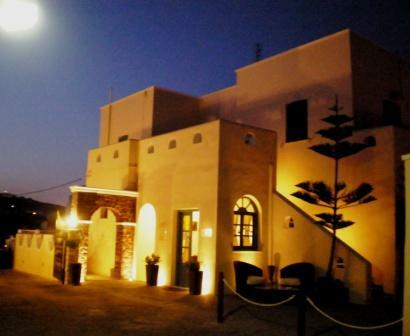 Next to Villa Evgenia you can visit the folklore museum of Fira that describes how over 148 years ago the local people from Santorini worked and lived in typical cave houses. You can also visit the cavern with evidence of the volcanic eruption and the chapel of St. Konstantinos. Rates vary by season (low-high) and room type. NON-SHOW/NON-ARRIVAL 100% OF THE RESERVATION WILL BE CHARGED TO YOUR CARD. IN CASE OF CANCELLATION 8 DAYS PRIOR TO ARRIVAL, 70% OF THE DEPOSIT IS NON- REFUNDABLE. ANY CANCELLATION 27 DAYS PRIOR TO ARRIVAL WE WILL RETURN 100% OF THE DEPOSIT TO YOU. FOR GROUPS CANCELLATIONS ARE PERMITTED 61 DAYS PRIOR TO ARRIVAL. 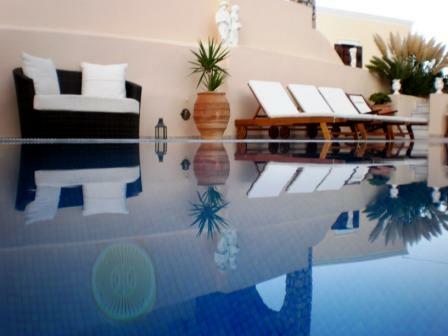 The complex of Villa Evgenia is located 300 meters from the main square of Fira town (Santorini’s capital). The central bus station is just 400 meters from the hotel and there are buses leaving for all destinations every 20 minutes. From the central bus station of Fira keep going straight on the main street (in the same direction as the Folklore Museum). In about 400 meters you will meet the mini market "Athina" on your left hand side. From there, turn right and in about 50 meters you will meet our hotel, 'Villa Evgenia". 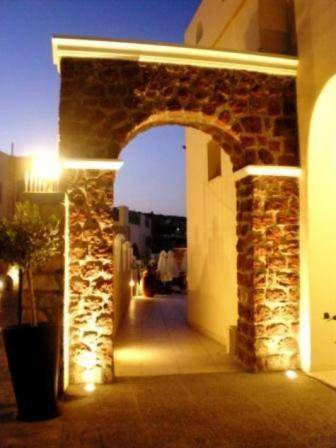 Conveniently located close to the central bus station of Fira.